The Balfour Declaration was issued on Nov 2nd 1917 as a letter from Foreign Secretary of the United Kingdom, Sir Arthur James Balfour, to Baron Walter Rothschild, a leader in the Zionist movement, which was subsequently incorporated into the Sevres Peace Treaty with Turkey and the Mandate for Palestine.The letter promised a homeland for Jewish people and paved the way for the ethnic cleansing of Palestine, which continues to this day.As, Palestinians have been demanding an apology from Great Britain, the British prime minister Theresa May has made the commemoration of the centenary of the disposition of tens of millions of Palestinians, and the ongoing ethnic cleansing of Palestine, a moment of national pride for Great Britain!This hour we hear from Columbia university historian professor Rashid Khalidi speaking about the Balfour declaration and the role of superpowers in supporting and cementing Israel’s settler colonial project. 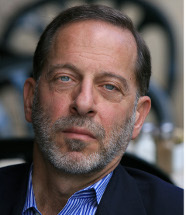 Professor Khalidi gave the keynote speech titled the 100 year war, at the Center for Palestine Studies at the School of Oriental and African Studies at University of London in 2016. This lecture titled “The Hundred Year War in Palestine” was given by Rashid Khalidi (Columbia University) at the Centre for Palestine Studies at SOAS University of London on 11 March 2016. So we have decided to start a new series looking at the intersections of climate change, war, politics, oil driven economies, and how the overlays of these factors impact the region’s ecosystems, human health, agriculture, and fisheries, and other aspects of people’s livelihood. We will also bring you the voices of environmental justice activists, journalists, authors who are working to save their communities. This week we speak with Palestinian environmental researcher and activist Muna Dajani the impacts of climate change in the MENA region and underlying reasons for the water crisis in Palestine! Muna Dajani is a policy member of Al-Shabaka: The Palestinian Policy Network, and a Palestinian environmental researcher and activist based in Jerusalem..
She is currently a PhD student at the London School of Economics (LSE) at the department of Geography and Environment. Her research aims to identify the link between identity, resilience and farming under the military occupation, where farming acquires political subjectivity as a form of cultural resistance. Her research interests are environmental politics, community-led resource management, and social impacts of climate change. September 25th marked the 14th anniversary of the passing of Professor Edward Said, a post colonial scholar and public figure who permanently changed the conversation about western imperialism and the west’s orientalist gaze towards the east. Rabab Abdulhadi is the Director of the Arab Muslim and Ethnicities Diasporas Studies Program at San Francisco State University. Later in the program, we mark the 9th anniversary of the death of the celebrated Palestinian poet Mahmoud Darwish. He passed away on August 9th 2008. NYU professor Sinan Antoon will read some Mahmoud Darwish’s poem’s he translated. Robert Piper, the UN Coordinator for Humanitarian Aid and Development Activities, in the Occupied Palestinian Territories describe Gaza as currently “unliveable’ land for its 1,8 million inhabitants. We speak with British-Palestinian fiction author Selma Dabbagh about her novel, Out of It, which focuses on the internal dynamics of a family in Gaza during wartime, as well as on the divisions within Palestinian society. This week, we continue our conversation with Adel Iskander, Professor of Global communications at Simon Fraser university, about the rise, history of the Al Jazeera network and future following the feud between Saudi Arabia, its allies and Qatar. Later in the program, we pay tribute to prominent media scholar Professor Jack Shaheen, who passed away on July 9. Professor Shaheen’s seminal work “Reel Bad Arabs: How Hollywood Vilifies a People” tells the long history of vilification of Arab American and and Muslims on the silver screen. Soon after, they turned the screws on Qatar by giving it 10 days to comply to a list of 13 demands. According to news reports, the list of demands included a dictate to shut down Al Jazeera Network and all media outlets funded by Qatar directly or indirectly like Arabi21, Middle East Eye, Al Araby Al jadeed, ( the new arab) and Rassd. Malihe Spoke with Adel Iskandar, an Assistant Professor of Global Communications at Simon Fraser University in Vancouver about Aljazeera and its operation for the past 20 years, and what’s in store for the network, as well as an overview of the conflict between between the Saudi led block and Qatar. Last October, protests erupted in Morocco’s Rif region after a fish vendor named Mouhcine Fikri was crushed to death by a garbage truck compactor as he tried to retrieve fish the police had taken from him, claiming it was caught illegally. The protests have continued through 2017 and have taken up many of the same demands made during the February 20th movement of 2011, the large-scale protest movement during the Arab Spring. Anthropologist Miriyam Aouragh has called the recent protests as the “unfinished business” of Moroccan “Arab Spring” activists, and some on social media have been calling the latest wave of widespread demonstrations the “new February 20,” referring to the movement of 2011. For months now, the UN has been warning of a looming human catastrophe in Yemen that could potentially kill hundreds of thousands of people . United Nations Under-Secretary-General for Humanitarian Affairs and Emergency Relief Coordinator Stephen O’Brien told the UN Security Council recently that the war, together with the cholera outbreak and widespread hunger in Yemen could lead to the collapse of the country. The brutal US funded Saudi led military attack in Yemen has claimed more than 10,000 lives and has left the country’s infrastructure in Ruins. This week, we will talk about the dire humanitarian crisis in Yemen and how one organization is trying to raise awareness about the unfolding human catastrophe in Yemen and to raise funds to help people with food and medicine. We’ll be joined by 3 founding members of Yemen Relief Project, a grassroots, charitable organization working to provide humanitarian relief while improving the overall quality of life of Yemeni people in underserved communities. afa al-dabyani, Husain Muhsin and Dr walid hamud-ahmed are founding members of the Yemen relief project, a grassroots, charitable organization working to provide humanitarian relief while improving the overall quality of life of Yemeni people in underserved communities. You can help with their campaign to deliver food and life-saving supplies to Yemen by visiting Yemen relief project.org. Last October, protests erupted in Morocco’s Rif region after A fish vendor named Mouhcine Fikri was crushed to death by a garbage truck compactor as he tried to retrieve fish the police had taken from him and claimed was caught illegally. The protests have continued through 2017 and have taken up many of the same demands made during the February 20th movement, the large-scale protest movement during the Arab Spring. Anthropologist Miriyam Aouragh has described the recent protests as the “unfinished business” of Moroccan “Arab Spring” activists, and some on social media have been calling the latest wave of widespread demonstrations the “new February 20,” referring to the movement of 2011. Khalil Bendib spoke with Professor Aouragh about the legacy of resistance in Morocco, and specifically in the Rif region, the epicenter of the current protests. This week, we speak with award-winning Iraqi poet and author Sinan Antoon about his novel “The Corpse Washer”. The book paints a vivid and heartbreaking portrait of Iraq, confronting the war-torn nation’s horrifying recent history.